Croatia is calling, tempting guests to find a peaceful yet luxurious setting as well as Exclusive Complimentary Perks when booking across WhataHotel!. Situated on the Adriatic Coast is a beautiful port city called Split, offering visitors a smooth-pebble beach, vibrant city streets and the landmark UNESCO protected Diocletian Palace. Croatia is a fabulous get-away with old world charm, contemporary updates and less crowds than some of the other European hot-spots. Come and see what all of the fuss is about. 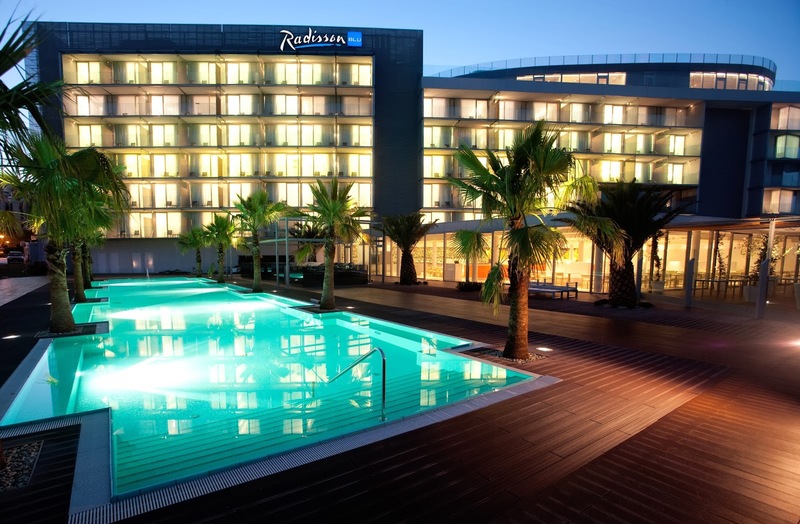 Just a few feet from Split's pretty pebbled beaches sits the Radisson Blu Resort. This gorgeous resort features amazing amenities that are absolutely magnificent. The Anne Semonin Spa gives guests access to a large facility with a French vibe, an indoor pool and a Japanese Onsen pool with whirlpools. The fitness center is well-equipped and promises to keep guests healthy, and make sure that you plan to spend some time lounging by the two outdoor swimming pools that are surrounded by tropical palm trees, a cool bar and tranquil sea breezes. Guest rooms and suites are fantastic as well with stylish decor and all of the necessary conveniences. Grab a bite to eat at either of the three on-site restaurants that have a variety of palette pleasing entrees or sip a cocktail at one of the three chic bars. Although the impressive Radisson Blu Resort Split has loads of things to keep you busy while in Split, a trip into town will also be quite fantastic. Located just a mile and a half from this top-notch hotel, travelers can visit the UNESCO Diocletian Palace. This palace was built in 4th century AD by a Roman emperor and today attracts thousands of visitors with is history and beauty. Take a stroll around Peristyle Square and the nearby gardens, or head to the high end boutiques found in this lovely locale. If you are looking for a bargain, there are outlets in the Old Town or visit the daily fish market for a taste of traditional city life. If you are a lover of the outdoors, spend a day at the beach overlooking the Adriatic or explore the Adriatic Islands that are close by. The city of Split is overflowing with exciting adventures as well as great ways to rest and relax. When booking your stay at the Radisson Blu Resort Split with WhataHotel!, guests can enjoy Exclusive Complimentary Perks that are remarkable. These perks include available upgrades at time of booking, full breakfast for two every day, a 45 minute back, neck and scalp massage per person per stay and options for early check-in and late check-out. Get ready to discover the wonders that Split, Croatia has to offer and you may just fall in love with the allure of this magnetic area. 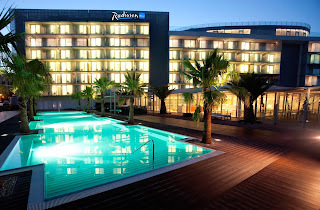 Radisson Blu Resort Split is ready to welcome you with impeccable service and limitless luxury.